Hekia, in an illustration fron the 1800s. Hekla is the most mysterious of Iceland’s many volcanoes. Its brooding summit overlooks the broken plains 800 meter below as if it were an English Lord (or perhaps Lady) of the Manor. The fiefdom looks bare and uninviting, but that is not purely Hekla’s fault: once this was dense forest, but it was cut down by the villeins. But Hekla never was a harmless eccentric lord; it is vengeful, evicting its cottars and killing its serfs. 13% of Iceland’s historic eruptions have come from Hekla. So has 18% of Iceland’s lava output (or 6% of the total on-land lava output in the world), and 8% of its tephra. Pity the poor souls whose lord was Hekla! Carl wrote a compelling post on the unpredictability of Hekla, where the size, progression and spacing of each eruption seems absurdly different. Hekla’s explosive eruptions can be severe: according to one report, a 20-kg lava bomb was shot out to a distance of 32 km from the mountain. It could have brought down an airplane, had airplanes existed at the time. The effusive eruptions are equally impressive. And the tephra is as dangerous as the lava: Hekla’s many hazards include widespread poisoning by fluorine. Hekla is believed to be young. The tephra layers found in Iceland and Europe which are ascribed to Hekla are all from the Holocene. The only real evidence of volcanic activity from before the Holocene comes from some fissure lavas on the flanks which are dated to the Pleistocene. (The area is heavily eroded and some evidence of older activity may have been lost.) Befitting its suspected youth, it is still growing: the 1947 eruption added 50 meters to the height, to 1501 meter above sea level in total. Erosion has since removed 10 meters. At this net rate, the volcano might only be 1000 years old. In reality it is rather older, but still less than 10,000 years, a teenager with a volcanic temper. And like any teenager, it hasn’t settled yet into predictable behaviour: over the months and years it continuously changes. Its youth is also evident from the local motion of the ground. Iceland as a whole is rising, a consequence (still) of the adjustment after the end of the ice age. The almost (but not quite) complete ice cover, 500 meter thick, pressed down on the crust. When the ice melted, the crust began to rise up, currently at rates up to 20 mm per year. (Since 2003 this rate has been increasing, which is attributed to the melting of the remaining glaciers.) But around Hekla, the crust is not rising as fast. This is due to the weight of Hekla, to which the crust has not yet had time to fully adjust. The lack of full adjustment shows that the bulk of Hekla is younger than the ice age. Over the past 1000 years, some 8 km3 of lava has been added to the surrounding plains and the bulk of the growing mountain. Hekla is a typical, pretty stratovolcano. But this is only when viewed from the southwest. Look from the east and it becomes a ridge volcano – an upturned boat. The volcano is in fact quite elongated, and clearly follows a linear fissure rather than being tied to a singular point. Compared to the surrounding volcanoes, the fissure is quite short. While Katla feeds eruptions tens of kilometers away, the fissure of Hekla only reaches 3-4 kilometer from the summit. But it does have a summit, and most of its eruptions start there. Hekla is a combination of a normal volcano and a crater row, a combination it shares with Mauna Loa. It is not the only such volcano in the area. There are some 40 mini ridge-volcanoes surrounding Hekla. They are called mobergs (or table mountains), and are shaped like Hekla and oriented in the same direction, but much smaller. They are a bit older, and date from the ice age. The bottom layers of the mobergs are pillow lavas, which were erupted under water: they were immersed in melt water which had collected under Iceland’s ice cap. Higher layers were erupted in air. The composition of the lavas is similar to Hekla. This region has had a magma supply since at least 20,000 years, although perhaps not a single magma chamber. Hekla itself became dominant only in younger times. It may have started as just another moberg, but it outgrew the rest, perhaps because by that time a single magma chamber had formed. Hekla is a frequent erupter. As Carl writes, the pattern has changed over the years, and where previously it erupted something like twice per century, in recent years it has been as often as once per decade. There have been 18 known summit eruptions since 1104, and a few more eruptions solely outside of the summit. Combined, the eruptions eject around 1 km3 (DRE) per century, in lava and tephra. The 1947 eruption did this much in one go and the 1104 eruption may have put out even more. Much of Iceland frequently receives a dusting of Hekla ash, laced with a generous seasoning of fluorine, deadly for cattle but good for their teeth. But in spite of its significance, Hekla is a poorly understood volcano. What caused Hekla to form? What will it become? And where did it get its first magma from? Even the depth of the magma chamber is uncertain. The science of Hekla progresses slowly, bit by bit, eruption by eruption. Let’s see whether we can get to the bottom. Hekla has two eruption modes. The first mode is typified by plinian or sub-plinian events from the summit, which produce dacite and rhyolite. There have been at least five very large such events, the oldest around 5000BC and the most recent in 1104 AD. Each ejected 0.5-2 km3 DRE, explosively. The second eruption mode consists of effusive fissure eruptions, producing copious amounts of basaltic andesite. In practice, eruptions often mix the two types. They may start as explosive events from the summit, followed by effusive events along the 8 km long fissure through the summit, or along fissure swarms parallel to this. The rhyolitic component has around 65% SiO2 by weight, and the andesitic component about 55%. Either these two come from different magma reservoirs, or the main reservoir contains differentiated magma. No known Hekla lava has SiO2 below 54%. Since 1947, only the andesitic component has erupted. The lavas have become much more uniform in composition, and the recent composition is near the bottom end of the range of SiO2 fraction seen in earlier times. There is an evident correlation, where the initial SiO2 fraction of an eruption is higher if there has been a longer repose time. That suggest the magma is evolving (or recovering) during the quiet periods between eruptions. During an eruption, the SiO2 fraction smoothly decreases as the eruption progresses. This shows that the magma reservoir is stratified. The magma with the highest SiO2 concentration, which is also the lightest, floats on top. As the eruption continues, it delves deeper into the magma reservoir and so mines the heavier material. But only to a limit, as Hekla does not erupt lavas with SiO2 content below 54%. Other volcanoes in the area do erupt magmas with less SiO2 than this: this limit is unique to Hekla. It suggests that the deeper, denser material in the magma chamber, with such a composition, is too dense to erupt. The buoyancy is not enough to make it move. After the eruption ends, the top layer slowly evolves back towards higher SiO2 content. To keep the magma chamber so well stratified, it must be rather quiescent. There is no major heat source that causes the magma to turn over: there is no lava-lamp effect. Thus, Hekla is not driven by rising heat from below: its location must be an accident of the local geography, not driven by local mantle heat. Of course something must be melting the magma, but either that is a heat-free (adiabatic) process (decompression melt), the melt occurs elsewhere and percolates into the Hekla chamber, or the melting happened in the past but not now. The lack of heating explains the SiO2 limit of 54%: the buoyancy is insufficient because the temperature does not increase enough with depth. A shallow temperature gradient can prevent lava lamp (or rather, magma lamp) motion. So now we know what the magma chamber must look like. But where is it? This is a question on which volcanologists almost come to blows, or at least as close as is possible within the language of science. Calling someone else’s model ‘excluded’ or ‘impossible’ is the science equivalent of holding Hamlet’s dagger before their eyes, and putting those words into a scientific paper amounts to a declaration of war. For scientists too, Hekla brings out the worst in us. It is the portent of hell. Geirsson et al. argue for a deep chamber, below the crust, located at a depth of 24 km. They use GPS stations around Hekla which measure the local movement of the land. This is a complex problem, as the GPS motions incorporate many different movements: the local transform, the spreading ridge, the isostatic rebound, and any motion caused by local earthquakes. Subtracting all these, they find that the area around Hekla shows expansion away from the volcano. Hekla is getting bigger. Geirsson et al. (2012). White arrows are the model expansion, black arrows show the observations. To fit the expansion pattern, Geirsson et al. show that a very deep spherical or ellipsoidal, inflating chamber is needed. This model does not reproduce all velocities north and west of Hekla. The fit improves with a second chamber at 3-8 km depth, displaced from Hekla by 6-11 km to the west. This displacement is disputable, and the model is certainly not perfect. 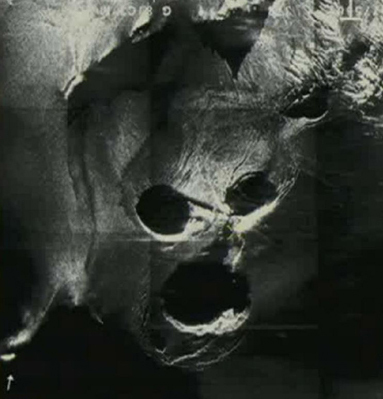 In their GPS models with a deep and a shallow magma chambers, both chambers are inflating but at different rates. The shallow chamber is growing at 0.0004–0.0014 km3/yr. The deep chamber inflates much faster, at 0.02 km3/yr or so. To put this into context, the rate of inflation even of the shallow chamber could fill the entire volume of Hekla within 10,000 years. An entirely different way of finding the location of the magma is by measuring the strain and tilt along a baseline on the flanks of Hekla. 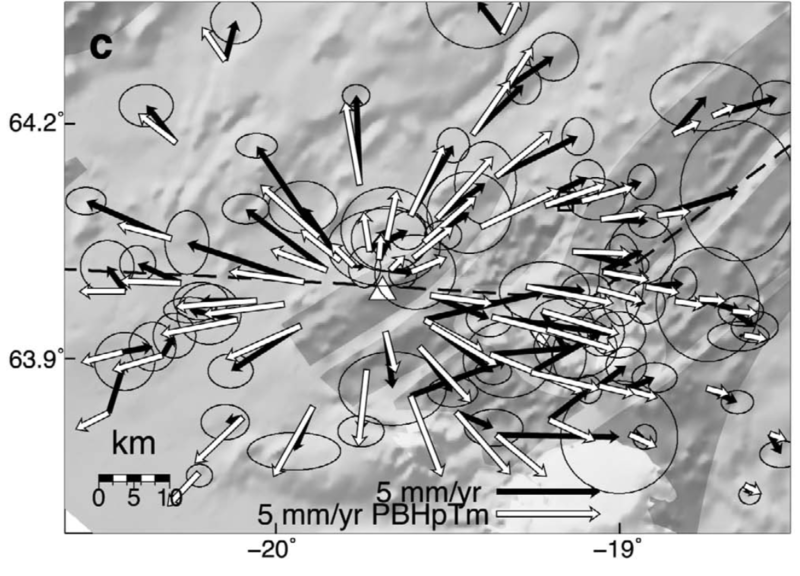 Such measurements during the 2000 eruption put the erupting chamber at a depth of 11 km (most recently by Hautmann et al 2017): this doesn’t fit either of the two GPS-derived reservoirs but does fit the earthquake sequence during the eruption, which started at 9 km depth. The two models appear incompatible. But looking at it with a critical eye, there are complications with both results. The tilt measurements are very sensitive to what happens at the summit of Hekla, and the movement there is dominated by shallow inflation and is less affected by what happens deeper. So it can (and does) show that there is shallow magma, and convincingly shows that there isn’t any even shallower activity, but it does not rule out the presence of deeper chambers. It is also assumed that the chamber is directly underneath Hekla: if displaced to the west, the reservoir could be shallower than they derive (but not deeper). The GPS models, in contrast, measure a large-scale pattern and this is very sensitive to what happens at deeper levels. So there may be truth in both results: they are not as mutually exclusive as may seem. Sturkell et al (2013) take an intermediate position. They also find that the magma chamber is around 10 km deep, but are more conciliatory regarding the very deep chamber, pointing out that changing the shape of the chamber from spherical to a sill or a pipe will change the derived depth for both models. For instance, one of Geirsson’s models makes the deep chamber wedge shaped, with the top end at 11 km. It should also be noted that the strain and tilt measurements were analysed for the time of the 1991 and 2000 eruptions, and show especially where the magma moved during the eruptions. Deeper magma, if it lacks buoyancy, may not be responding well to the eruptions and could have been missed. For instance, both a deep chamber at the Moho interface, and a shallow chamber underneath Hekla may be present, but with the eruptions driven mainly from the latter. And the strain measurements also suggested that during the 2000 eruption, the reservoir at 11 km was losing less volume than was erupted from the top, and this requires magma replacement. It does not say from where the magma came, but it may hint at a deeper truth. In the end, both measurements revealed something, but like the blind man and the elephant, each provided only part of the full picture. We can conclude that magma is very likely present at a depth of 9-11 km, and there may be a significant amount at much greater depth but the details of this region are not well understood. There is a third method to measure the depth of the eruptive magma. This comes from analysis of the tephra composition of the H-3 eruption, the largest Hekla event during the Holocene. The composition of the tephra shows that the magma that formed the tephra had been stored in a chamber at fairly low pressure and temperature. Laboratory experiments were done by Weber & Castro (2017) to find the precise numbers, and these indicated that the magma storage chamber was some 5 km deep, with a temperature of 850 C, with the magma saturated in water. The magma itself could not have melted under these conditions: it must have come from further down. But there is no evidence for a chamber at 5-km depth in the current strain/tilt-derived models: the tilt would have been very sensitive to any activity in such a shallow location, but none was seen. (Some older work did conclude the presence of this chamber during the recent eruptions, but this was due to a latency error in the BUR station. Once this was removed, the chamber was gone.) Perhaps Hekla has changed, and the shallowest chamber did not survive the Holocene VEI-5 eruptions. Or it is a Chamber of Secrets, still there but hidden from muggle view. Why is Hekla so rich in fluorine? It is not unique in this: fluorine lavas are more common in South Iceland, for instance in Laki’s lavas. Fluorine is not that rare in the crust (Derbyshire, close to my home, is known for it) but it is less abundant in the mantle. It gets into the magma mainly by melting of the crust, and it tends to increase together with the SiO2 content. The area around Hekla is far from faultless. It is where the South Iceland Seismic Zone, a transform fault, intersects the Eastern Volcanic Zone, a spreading fault. Hekla is not quite on this intersection (that point falls within the nearby Torfajökull caldera): it is closer to the SISZ than to the EVZ. The EVZ is not so much a single line but a broader zone, in which parallel faults can develop. Even though Hekla is still not within this zone, Hekla’s fissure rift extends in the same general direction as those spreading faults, as shown by its elongation in the same northeast‐southwest direction. But that is not unique: the SISZ is itself crossed by numerous southwest-northeast trending faults. They show the inherent, inborn weakness of this land, and this weakness is shared by Hekla. The locking depth of the SISZ is around 15 km. Below that, the rocks are ductile and little or no stress builds up. But above the locking depth, the motion of the transform fault and the bookshelf SE-NW faults cause considerable stress. Earthquakes up to M7 can occur here. The combination of faults makes Hekla a funny beast. Its behaviour is governed by the transform fault, and that is a bit of a rarity as transform faults do not produce magma in the way that spreading ridges do. Neither do slip-strike faults magma make. Perhaps the multiple faults generated a weakness in the brittle crust where magma could accumulate, creating a catchment for magma created elsewhere. The EVZ itself has no currently active volcanoes at this location (nearby Torfajökull is dying). This suggests that it may still be the ultimate origin of Hekla’s magma, where the magma is transported sideways. Hekla is related to two different faults, neither of which is a spreading ridge. That is good news for the magma that it does accumulate. In a spreading ridge, the majority of the magma creates new crust underground, filling the gap while the two sides separate. Only a small fraction ever makes it to the surface. Below Hekla, no new crust is needed and all the magma can be channelled up to create the mountain. The growth rate of the underground magma chamber was measured from the GPS models at 0.02 km3 per year. This is fairly similar to the long-term average eruption rate, so most of the magma gets to the top. Only about 1-2% of all magma production in Iceland comes to Hekla, but it erupts a much larger fraction of its magma than is the case elsewhere. Hekla uses its magma well, and that is the reason its lava output can compete with that of the big beasts of the EVZ, Bardarbunga and Katla. Hekla has the reputation that it gives very little warning from precursor earthquakes before it erupts. It is a passive-aggressive volcano, and seismically rather quiet. Between eruptions, there are occasional weak earthquakes but these are very similar to those of the SISZ and probably just come from the stress related to this. The volcanic silence is almost ominous. During an eruption, the earthquakes extend from the surface to 9km depth. There is a lack of activity further down. This is another reason to put the top of the active magma chamber, which feeds the eruption, at some 10 km depth. The very limited earthquake activity prior to an eruption indicates that there also is an almost open channel between the magma chamber and the summit: once magma begins to move up, it meets little resistance. This much-advertised silence is a recent feature. 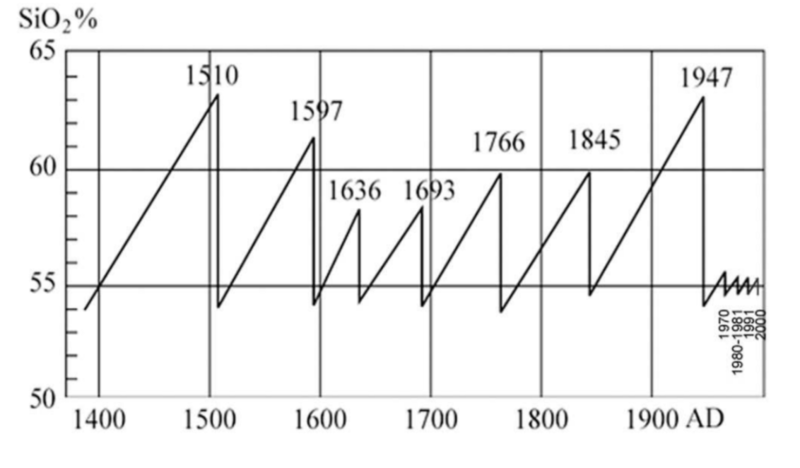 Before the 1845 eruption, described above, there was a much longer sequence of audible earthquakes, lasting 12 hours or more. It appears that at that time, the conduit to the surface was not as open, or was solidified, and the rising magma had to break through. The current silent behaviour may well be related to the much higher frequency of eruptions, which is keeping the conduit hot and ductile. A 50-meter wide conduit can take more than a decade to solidify. But now that it is getting close to 20 years since the last eruption, perhaps the next one will not be as silent. For both the 1991 and the 2000 eruption, the eruption sequence appeared to be as follows. About 30 min before the surface eruption, magma began to rise from the storage chamber through a cylindrical conduit (50 m diameter). Near the surface (within 700 meters) a lateral dike began to form. At this point the (sub-)plinian eruption started. The dike continued to extend away from the summit for another hour, while the rising magma took another four hours to fill it. A Strombolian eruption burst out along the dike, with effusive lava flows coming down the flanks of Hekla. The eruption decreased in intensity over a period of order 100 days. (‘Of order’ means between 10 and 1000 days.) The dike that ran along the fissure remained close to the surface: it was fed purely through the narrow conduit towards the summit. Each eruption begins with the most evolved magma that is present, but it quickly delves into lower levels in the magma chamber which have lower SiO2 fractions and by the time the dike bursts, it is filled with the lower-SiO2 magma. As mentioned above, the prehistoric tephra appeared to have come from a shallower magma chamber, at 5 km. The current eruptions are sourced deeper. Was the shallow chamber destroyed in the earlier eruptions? Did that happen in 1104? In 1845? Or 1947? Did it never exist? The work that found evidence for the shallow origin seems strong, with laboratory experiments to show under what conditions the tephra formed. Perhaps Hekla does change, and one should be cautious with predicting the events of the next eruption from the previous one. What determines the length of time between eruptions? The magma supply rate seems quite constant. Hekla has erupted around 1 km3 per century for as long as it has existed, and that rate is not far from the current inflation rate of the deep chamber. Most likely, the blame for the dead times lies with the varying strength of the rock lid and conduit above the magma chamber. At the moment (or at least over the past half century), it is weak and a little excess pressure (estimated at 10-12 MPa) suffices to break through. But the longer Hekla waits, the more this lid cools, and the stiffer the rock gets. As Hekla waits, it loses the opportunity, and it will have to wait longer. But after half a century, the rock has reached its final stiffness, while the volatile pressure continues to increase. Eventually the lid will break: in the end, the resistance is futile. The longer the lid holds, the larger and more explosive the eruption will be. At the moment we have had close to 20 years waiting time. This is longer than for the last few eruptions but still much shorter than was usual in the more distant past. If the next eruption is soon, it will not be particularly large. And although it may start explosively, the main event should be effusive. Or perhaps we have passed the point of no return, and the next eruption will not be until 2050. The unusual lava composition (for Iceland) shows that Hekla has its own magma supply. It is not sharing a magma chamber with any other Iceland volcano. About 1% of all magma generated underneath Iceland goes towards Hekla. So why was Hekla not there before the Holocene? Where did the magma go before the era of Hekla? How could Hekla develop so quickly, and what started it? The mobergs show that there already was a magma conduit, but to the general area, not a single point. But at some point, the conduit became localized and the eruption rate increased dramatically. The most likely cause for Hekla’s birth is that the southwest-northeast fault underneath was forced open, either by spreading or by rotation, allowing a magma chamber to develop. What would have caused this? A plausible cause is the isostatic rebound after the melting of the deep icecaps. The loss of weight of Iceland’s ice caused the land to rise up, and this rise was largest here, close to but not at the highlands and major mountains which kept their ice longer. At the same time, the weight loss allowed for decompression melt, and this added to the pressure from below. Once the fault opened, magma had a way in and the building of the mountain began. Where is the current new magma coming from? Some may come from the EVZ, some from the on-going decompression, and some may come from the transform fault. There are quite a few possible places! The relatively cool magma does indicate that there is no major heat source directly underneath Hekla. However, the continuing inflation shows that the magma accumulation has not ceased and therefore that the source is still active. The location of Hekla strongly suggests that the EVZ has some role in its magma supply. If the picture is correct, Hekla may not be a long-lived volcano. Once the ice is all gone and the rebound complete, perhaps the fault will close and the magma conduit will be cut off. In another 10,000 years, Hekla could be history, perhaps with a final caldera-forming eruption. But it could also take off and grow, eventually pull in the EVZ itself. The land here is weak, and the break that defines the spreading ridge can easily change location. It might end up moving east, to the break provided by Hekla, thus providing a lasting magma supply and allowing Hekla to grow to the size of Bardarbunga. Or it may be too close to the SISZ for that to happen. Hekla’s heritage is hard to predict. Hekla may be a child of Torfajökull. The latter is old, nearly dead, rhyolitic, and is a large caldera with little else. Hekla is young, vibrant, (currently) andesitic, and is a stratovolcano. The relation must be obvious! (Ok, not really.) But they are similar in their location, near the SISZ/EVZ intersection. The actual intersection lies within the caldera of Torfajökull, while Hekla is closer to the SISZ than to the EVZ, although close to both. If Hekla is like Torfajökull, it could live long and prosper. I think that Torfajökull could have started out like Hekla did. But that was long ago, and over time its magma chamber became stale and rhyolitic. Recently, the deep magma supply ceased or became diverted to Hekla, and Torfajökull has been left dry (and ice free). Taking the image forward, we can imagine Hekla continuing to build and grow, becoming a true strato-volcano. As its rift grows longer, lava outflows start to move into the empty lands northeast, and into the greener land to the south-west. Explosive eruptions keep the top of the mountain flat. And one day, the fissure opens wider than before and lava gushes out in much larger amounts, in a true Icelandic fire eruption. The immense lava flow moves towards the coastal plain, filling the Thorsa river valley. The emptying of the mountain gives Hekla a large caldera. It refills, but it happens again. And again. But eventually, the magma supply slows down, and the magma grows old. Rhyolitic explosions now tear Hekla apart. Slowly, the explosions diminish and Hekla periods of dormancy grow longer. It is not yet extinct, but getting there. And finally, a daughter of Hekla grows up, 20 or 30 km away. But that is a long way away, in an unknown future. Anyone wanting to visit Hekla should be aware. It lords over its possession, and battles any would-be occupants. This small mountain is striving for greatness. Will it achieve this? That is the biggest unknown of all. If it does, it will not be a big friendly giant: Hekla will be a king (queen?) Canute laying waste to the Viking world. Fear the day this Lord of the Manor claims Iceland’s throne. Magma buoyancy and volatile ascent driving autocycliceruptivity at Hekla Volcano (Iceland). Very nice! A great article! Nice post: thoroughly enjoyed reading it. My daughter was in Iceland a few weeks ago and showed me some pics of Hekla she took from the bus as it headed South. Not the prettiest mountain, but certainly a very interesting one. Has a cause been found for the apparent failed eruption of 2013? To me, that event suggests Hekla is still in its very active period.. It certainly seems to be just about near ready to go, it kind of seems like it’s hesitating?! Was the flight report about sinabung erupting to stratospheric heights yesterday actually a real report and not a misidentified cloud? I looked at reports for sinabung and only found one to about 7 km above sea level, and if it was as big as the explosion in February I’m sure someone would have taken a video of it. I am not sure that 2013 was a failed eruption. It was thought to be so at the time (and not just by Carl: the warning level was raised) but in hindsight the earthquakes were offset from the mountain, and seemed brittle fractures. A bit of movement on one of the many faults in the region, perhaps. But the real event might well start like this too. Very thorough and enjoyable post Albert. Thank you! Did Iceland have a different (much shorter) measurement for the mile than the standard 1.6 km? In the wikipedia quote for the 1845 eruption it says the lava flowed for a distance of 20 miles, which is like 33 km – much further than any obvious lava flows around hekla actually extend, and given that this eruption isn’t that old, such a long lava flow should be really obvious in the landscape. And if that is actually correct and the lava has just been buried under sediment or deliberately cultivated, then I wonder why lava flowed so far in that eruption while being restricted to the immediate surroundings of hekla in all subsequent eruptions including the much larger 1947 eruption. Even though it is a far cry from the <30 minute warnings of recent eruptions, 12 hours from first precursor to full plinian eruption after being dormant for 60 years is still terrifyingly fast, and really doesn't make predicting its next eruption any easier. It basically means we still only know about the eruption on the same day as the first warning signs. In the post you say (or rather the reference paper says) that hekla has a cylindrical magma conduit and that the fissure is only a feature in the surface areas, but the majority of the eruption actually happens from fissures that aren't at the summit but are almost always oriented along the axis of the volcano. Magma probably erupts along the whole fissure directly from the chamber otherwise the volcano would be a symmetrical cone with radial vents, but it isn't. I can buy that monogenetic radial vents like the 1991 eruption would be lateral shallow dykes, but the main hekla fissure is probably more fundamental. There are basalt eruptions around hekla sometimes, the last one was in 1913 and there are earlier ones too. So not all of the basalt in the magma chamber just sits there and evolves into andesite, some makes it out without evolving. 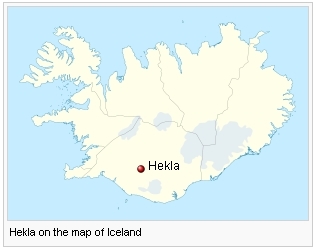 From the limited knowledge I have of Icelandic volcanoes, I wouldn't actually be surprised if the EVZ continues through hekla into the future, I know the rift is supposedly trending into the islands where surtsey is, but the area where hekla is already exists as a week spot and is a shorter distance from the reykjanes rift. so the future plate boundary might be a diffuse zone instead of a neat line, probably much like the norther part of iceland now. That idea might give support to the second option of heklas future evolution, with a long history and tendency for big flood basalt fire eruptions like katla and the vatnajokull volcanoes. Actually on here, there is a large ‘yellow’ area to the southwest of hekla. In the key, light yellow is pre-holocene quaternary lava. So large eruptions have sent lava into that area before the holocene, and it looks like the flow is generally trending towards the area where hekla is now, so maybe that could be a large lava flow from torfajokull when it was younger and much more mafic than it is now. It would be great if a more detailed map of that area existed but I haven’t been able to find it if it does. It may be that the light yellow refers to the mobergs surrounding Hekla which are a bit older. There is much older tephra buried on the coastal plain, which has been attributed to Hekla but on somewhat shaky ground. It is hard to know what was here before Hekla grew up. 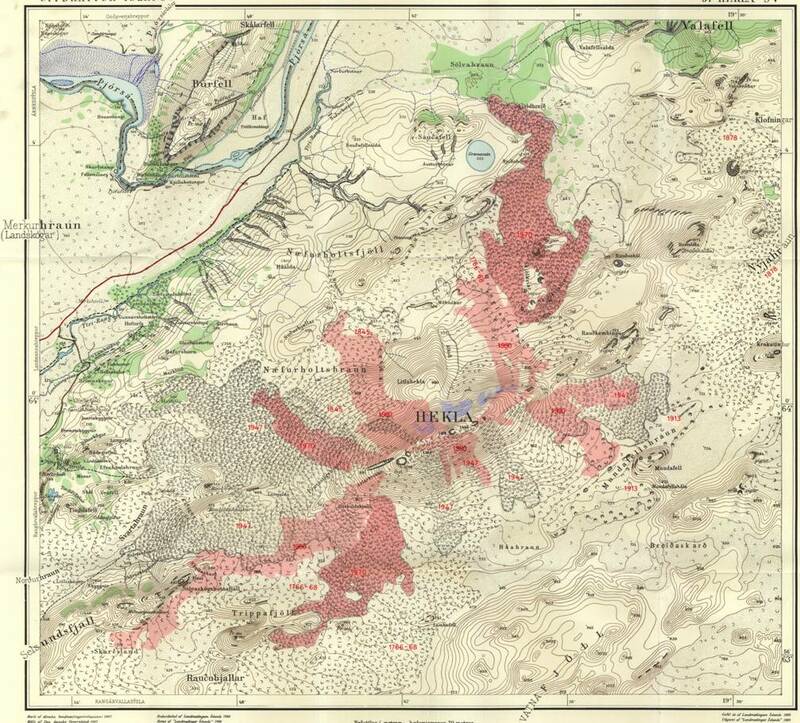 The only map I have found indicating the lava flows of 1845 is below, and as usual for these kind of maps, is near unreadable. The length of 30-km is perhaps reachable if measured along both outflow west and east, where te western one extended rather further. Hekla can erupt along various places on its flanks. There is a general fissure, but each eruption creates its own dike in it, and that can be parallel but offset from the previous one. A dike can also feed eruptions to the side of it rather than above: it depends on what the quickest/easiest point is from the dike to the surface, taking into account that going up requires more pressure than going sideways. It follows the line of least resistance. That is no different from Mauna Loa, where the rift also runs along the ridge of the volcano, but where lava can appear from the flanks. I found another map that is a bit better than that one, if only because it has dates and clear lines. It pretty much shows that either whoever saw the 1854 eruption was massively exaggerating the lava flow (pretty likely given that the report was recalling something that happened 30 years ago), or the distance is right and a mile back then was only 200 meters or something like that. It actually shows all of the lava flows after 1104. The 1913 fissure is actually pretty long and seems to be a sort of minor rifting event, so maybe it did erupt a not small amount of lava, and the wikipedia number isn’t as far off as it seems. This might give support to the second option of heklas evolution too – as a long lived central volcano. I knew this map but had not noticed the 1913 label at the right top. But do be aware how much 8km3 of lava is, which is the amount claimed by wikipedia (and which is not in the references it cites). The flow seems about 5-10km long and 2 km wide. That would mean it is on average 400 meter thick, or half the height of Hekla itself. 8km3 is the entire amount of lava produced by Hekla over the past millennium (or even a bit longer since before 1104 Hekla had not erupted for 200 years). We can safely dismiss this number. I saw that the area of the lava flows is about 8 km2, and I thought that you had seen the 2 as a 3, but 8 km3 is pretty obviously way too high. It doesn’t look like it was a small eruption though, possibly a sign that eruptions can and do happen in that area and that eruptions there might become more common in the future as hekla evolves. Maybe once that happens there could be an actual eruption of 8 km3 of magma there. You are right: I misread the number (need new glasses). For surface area, the average thickness cannot be much more than ten meters, to keep the total volume reasonable. An 8 km3 eruption is hard to do since Hekla’s volume above the eruption location isn’t much more than that. The gravity push fails well before that, and Hekla would be gone. Give it a few more millennia before it can do that. Referring to part of the original comment, maybe the switch to more frequent eruptions at hekla was actually the point at which the EVZ started extending into hekla more. Obviously 1104 would seem like a good date to draw the division, but 1947 could be too, as eruptions seem to have become much more frequent and much more mafic since 1947. Either way, clearly hekla is a much more capable volcano now than before 1104. All the eruptions before 1104 were big but added up the total erupted magma is probably about the same as what has been erupted in historical time, so 10000 years vs 1000 – 10 times higher eruption rate after 1104 (and possibly increased again after 1947). Maybe the settlement ash eruption combined with eldgja (two major rifting events within 70 years…) was enough to start a more significant feed towards the hekla area, and 150 years later the volcano begun its historical activity. Looking at the description of the 1776 eruption, it wasnt really that far off from being a true icelandic fire eruption, it was at least as big as holuhraun and a lot of the lava was covered by younger flows before anyone could do detailed mapping, so the numbers are probably conservative estimates. If the EVZ is extending, it is far too slow to have any effect within a period of 1000 years. It goes at a speed of at most 100 km per million years. Over the life time of Hekla, this is less than 1 km. Hekla itself changes far more quickly than that. We don’t know well what it did before 1104, apart from 200 years of silence. That eruption probably did change the plumbing, but in what way is hard to know. Not so much that the actual rift has extended through that area directly, but that the amount of magma funneled towards that area has increased since 1104, and that the two major rifting eruptions in the early part of historical time might have allowed for that. I have read a paper that looked at the frequency of eruptions in the holocene throughout Iceland, and while shield volcanoes were much more likely in the early holocene, the large rifting fissures that characterize the EVZ are relatively constant with the exception of two points, 9000 years ago with the thorsja lava flow, and the last 1000 years, when both eldgja and laki erupted. The last 1000 years has also seen hekla get much more powerful. The middle holocene was actually somewhat below the level of eruptions happening now, so something seems to have changed regarding the whole area in the last 1200 years. Maybe this is partly because I’l likely be nowhere near it when it happens (at least not when it starts 😀 ) but I am sort of hopeful that one of the said eruptions associated with this hotspot cycle is a once in several centuries event. Its been 540 years since there was a big eruption on the veidivotn fissures so maybe thats the place too look, once bardarbunga recovers (which might not be in all that long). I guess I was born in the right time to see eruptions in Iceland, with most or all of my life being coincident with a hotspot surge. Great article Albert! Hekla keeps to amaze me. Love reading about Hekla. Thanks for the article? 1. Does this article (and the Oregon State flow map) take into consideration the 1913? and 1970 eruptions well away from Hekla, eruptions that started at Hekla, subparallel to the fissure orientation of Hekla itself, and with different lava chemistry? 2. I’ve seen lots of pāhoehoe/helluhraun at Hekla, but I’ve never seen another andesitic volcano erupt it. 2. Andesitic eruptions tend to be explosive although they can also produce lava. In hekla, presumably the excess volatiles are bled off during the initial explosion allowing the andesite to flow more calmly. Hekla goes in composition to the basaltic andesite range, i..e the transition. The parallel eruptions, i.e. 1913 and 1878, are listed as basaltic and one may wonder whether that came from. Maybe the high fluorine content of heklas magma acts to reduce the viscosity of the magma. Calcium fluoride is added to iron ore slag to make it much more fluid. Iron ore slag is basically high iron andesite if you go by silica content, and yet the melt is very runny and looks almost like oil. On a side note iron ore slag is basically what I imagine ultramafic lava looked like. I guess ‘high levels of fluoride’ might still be in the <1% range though. But there's really no other way I can think of why heklas andesite is much more fluid than the andesite at other volcanoes. Maybe it is hotter? HF is a common volcanic gas in Iceland, and hydrofluoric acid is probably what actually gives livestock fluorine poisoning, as calcium fluoride is mostly insoluble and non reactive, while hydrofluoric is extremely soluble in water and contains corrosive H3O+ ions. Hydrofluoric acid leaches calcium out of bones to form CaF2 anyway, which causes hypocalcemia (= basically certain death if not treated* within an hour………!). Also sulfur dioxide reacts with water to make sulfurous acid, not sulfuric acid. To make sulfuric acid you need to oxidise the SO2 to sulfate in an acidic environment. In industry this is done using vanadium pentoxide and oxygen, but oxygen under UV light also works, which is what happens in the upper atmosphere. Chlorine can also oxidise SO2 and chlorine is a minor component of volcanic gas. This to turtlebirdman. Basically in an acidic eruption, and I think most are, at high temperatures you will tend to have gasses escape leaving non-volatiles behind to an equilibrium position. So there will be significant amounts (if available) of HF, SO2, HCl, S (vapour) etc whilst the metals bind to the refractory elements which basically means silica. Its really a high temperature version of steam distillation with the low levels (in equilibrium terms) of reactive gasses being continually removed resulting in significant amounts come the end. 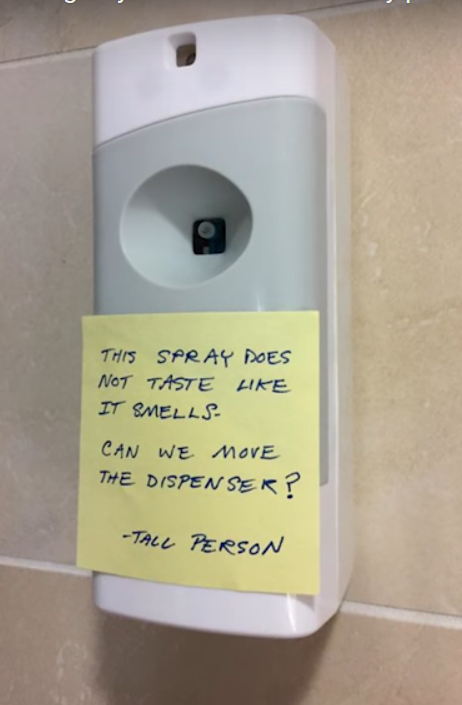 Lets see if that sits in volcanocafe’s halls of hellfire. I’ll not go into the details of why my chemistry knowledge is a bit sub-par, so I willingly yield to the more detailed description of the process. Alkali metal fluorides also react with calcium ions to form CaF2. If a solution of water soluble ions contains two ions which are insoluble when joined, then that compound will fall out as a precipitate. CaCl2 and NaF will both dissolve, but when mixed CaF2 precipitates. What HF actually likes to react with is SiO2, which forms hexafluorosilicic acid and water. This is apparently already well known around volcanoes worldwide (from wikipedia) but I suspect it is particularly relevant to southern Iceland given the historical examples. Hexafluorosilicic acid reacts with water under alkaline conditions to reform SiO2 and fluorides (this is how fluoride is added to drinking water). Nothing wrong with that lest you become corpulent. I wound up using the cancer diet… though for some reason, my weight loss came after they removed the cancer. I haven’t really figured that one out… unless it was the lack of motivation to do anything more than sit and heal. (No appetite) I estimate that I’ve shed something like 27 lbs sitting around worrying… over about an 11 week period. It was pointed out that the image at the top of the post was from Laugahraun. Those things happen! It is now replaced by a more authentic one. Laugahraun will have to wait for its own post. Can’t Akismet be tweaked to auto-block this ineffable bullshyte? A rule to automagically place any comment containing the name of that big thing, with geysers and bisons starting with the letter Y, in the dungeon for manual approval would probably do the trick. Did the article contain the word Skullcano™? The lava rocky horror show? That is an image of how crater looks under the ice of Eyjafjallajökull. The 3 opening are the vents that where active during the 2010 eruption. Nature seems to like skull shaped objects suspiciously often. 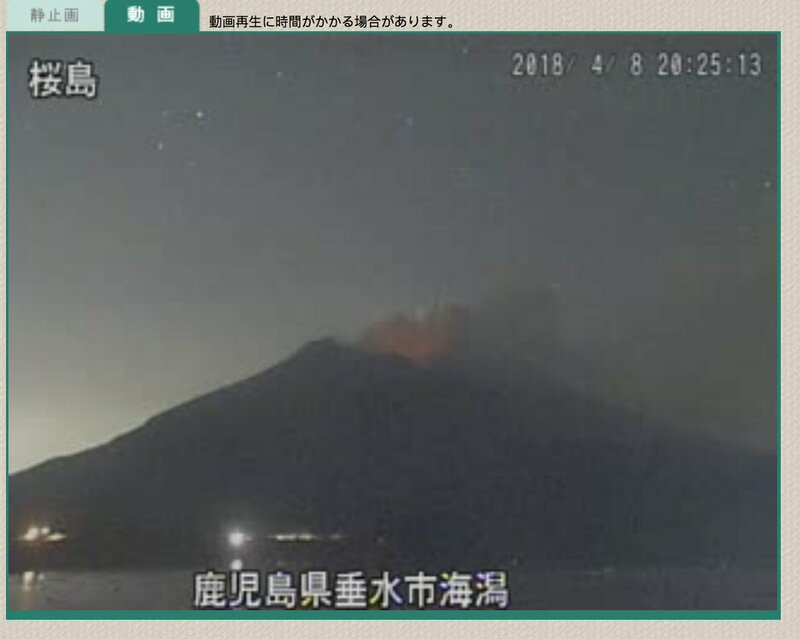 Sakurajima has a merry glow on tonight! 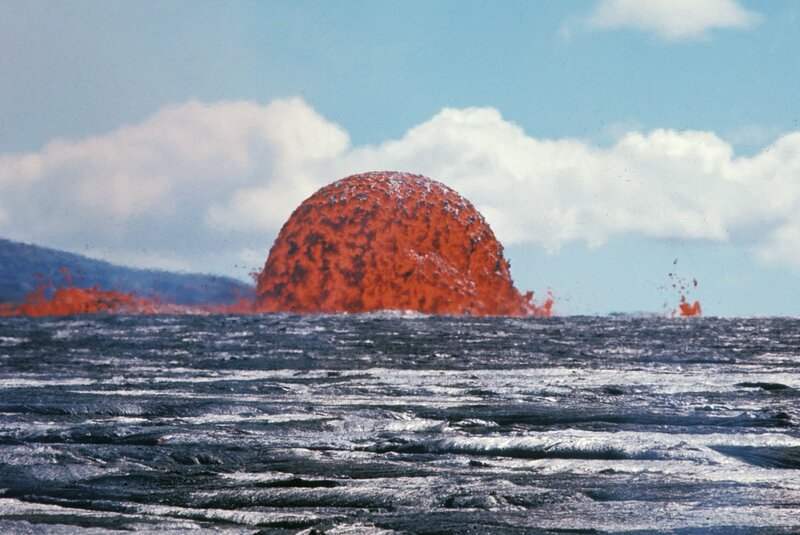 If the most silica-poor lava hekla has ever erupted is andesite then there must be something fundamentally different about it than other andesitic volcanoes, that lava was really not that far off what you see in Hawaii. Maybe the lava is much hotter than normal andesite? Personally, I can’t say for sure. I had a side discussion about Laki magma temp, but found a paper stating an 1100 deg C temp instead of what I thought was higher due to the lower viscosity. I think the Calcium fluoride “slag additive” idea is better. At least that mechanism works at the lower temp realm from a logic standpoint. Not seen before great clip! Fantastic post albert. Really interesting to hear about how isostatic rebound can play a role here. BTW, anyone have any thoughts / speculation on Nevados de Chillan in Chile? It’s growing a dome right now that almost reminds me of Kelud, although the behavior at Chillan is a little bit different than Kelud historically. Could possibly get a rhyolite flow. Well I’m sure the officials in Chile are very well versed in big eruptions, after having a VEI 4 and two borderline VEI 5s within the last 10 years. So them upgrading nevados del chillan to alert 3 probably should be something to keep an eye out for. It looks like whatever might come from this is a long way off though. Kelud waited 7 years before blowing up, and it’s dome was much bigger than the one on chillan. Is the dome actually rhyolitic? I thought it would be andesite like the rest of the volcano, though the dome does look pretty blocky rather than the flat pancake shape at agung or shinmoedake. We might have had our next VEI 4. I best put my bass down and finish my Ambae post then! Sounds interesting, Its hard to find info on most of the volcanoes in Vanuatu, except when they erupt big or when another person finds the ambrym lava lake footage and decides to make another news article on it. New earthquakes in Italy, a little north of Norcia. There have been three M4 quakes in the past two weeks, with an M4.7 yesterday. Norcia had an M6 two years ago. The current quakes are in a unpopulated area and not large enough to cause damage but there must be some concern whether this will continue. It’s not uncommon for lazy news outlets to regurgitate old footage and photos. Images are from today, I believe. More damage than expected because it was quite shallow. Thank you Albert for another gem! Within the context of your discussions on volcanic gaseous fingerprints……a bit of an O.T. thought occurred to me that perhaps you can shed light on. In the case of a Sudden Stratospheric Warming event, could this be a viable mechanism for bringing tropospheric contamination into the Junge Layer… i.e. similar to what a volcanic eruption does? As far as I know, only powerful volcanic eruptions have been identified as a viable vehicle for pushing/accelerating sulphurous compounds and other contaminants through the tropopause and into the stratosphere/Junge Layer in order to create aerosols….but then again, a SSW is by definition, an injection of waves of warmer/contaminated tropospheric air into the stratosphere. I remember a couple of great threads here after an eruption last November? during the Agung period and GeoLurking was mentioning how long it would take for the aerosol formation to peak….which would have been the late-February early March timeframe. Where did the volcanoes go?